The Wedding Cottage (4775 SW Watson Ave.; Beaverton; 503.643.9730; weddingcottage.net) has been in the Portland Metro wedding industry for…well, forever. 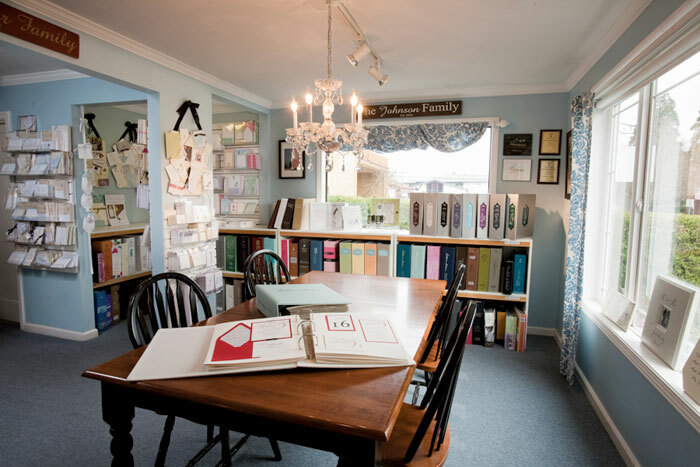 This tiny little bungalow in downtown Beaverton has provided brides with stationery, invitations, wedding supplies, favors and gifts for more than 20 years—and has scooped up an Oregon Bride Best of Bride award three years in a row. Want a vintageinspired mother of the bride tee? Find it here. Need a cheeky, tongue-in-cheek wedding topper? You got it. Former owner Melissa Downey worked with national and local vendors, and treasure hunted on etsy.com to find the most unique items for your big day. But in September of ’09, Melissa passed the torch to Petrel Chapman, a former wedding coordinator from Embassy Suites Downtown (in Portland), who can’t wait to bring her nuptial know-how to the Wedding Cottage. The recently-engaged Chapman is bringing her signature vintage-chic style to the business, and wants to bring hard-to-find, original items appropriate for brides getting married in all parts of Oregon. Case in point: an original line of hand-made, personalized pewter wedding accessories made by a very special couple in Oregon: Petrel’s parents. So be sure to stop by and check out what Petrel’s done with the Cottage—and give her a warm Oregon Bride welcome for us!